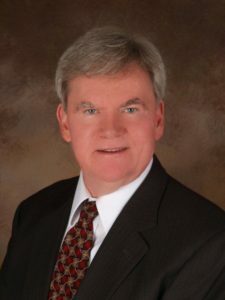 Our attorney, Kevin McArdle, graduated from Seton Hall University (1979) and Boston College School of Law (1982). He has spent the bulk of his thirty-plus year career in public service with the Essex County Prosecutor’s Office in Newark, New Jersey. Over the course of his twenty-five year tenure with the Prosecutor’s Office, this veteran prosecutor served in many roles. He prosecuted numerous narcotics cases, along with many cases involving homicide, death by auto, sexual assault, aggravated assault, arson, child abuse, robbery, and white collar crimes such as fraud and other theft crimes. He also presented hundreds of cases before the Essex County Grand Jury. Kevin McArdle served as Director of the Essex County Prosecutor’s Office Forfeiture Unit. This unit was among the busiest asset forfeiture units in the state, processing well over a thousand cases a year. With eighteen years of experience in asset forfeiture law, he was the longest serving forfeiture prosecutor in New Jersey. He also taught numerous courses on the topics of money laundering and other financial crimes to local and federal law enforcement agents from New Jersey and other jurisdictions across the country. He was also a certified instructor for the New Jersey State Police and the Essex County Police Academy. In addition to his experience in criminal law, Kevin also worked in private practice for several years, where he concentrated primarily in the areas of family law and criminal defense. He was an associate with the firm of Andora, Palmisano, Harris and Romano in Elmwood Park, New Jersey and a partner with the firm of Zisa and McArdle in Hackensack, New Jersey. Since retiring from the Essex County Prosecutor’s Office in 2010, Kevin McArdle has teamed up with his wife (and current law partner) at the Law Office of Sara Sencer McArdle, LLC.